Healthy foot structure is vital for the stabilization and mobility of our bodies. Often back, hip, and knee pain are indicative of compromised arches or biomechanical dysfunction like overpronation (flattened arches, inward ankle roll) or supination (exaggerated arch, outward ankle roll). These problems can be genetic in origin and occur without symptom. It is important for preventative care measures to consider the health of your feet too! 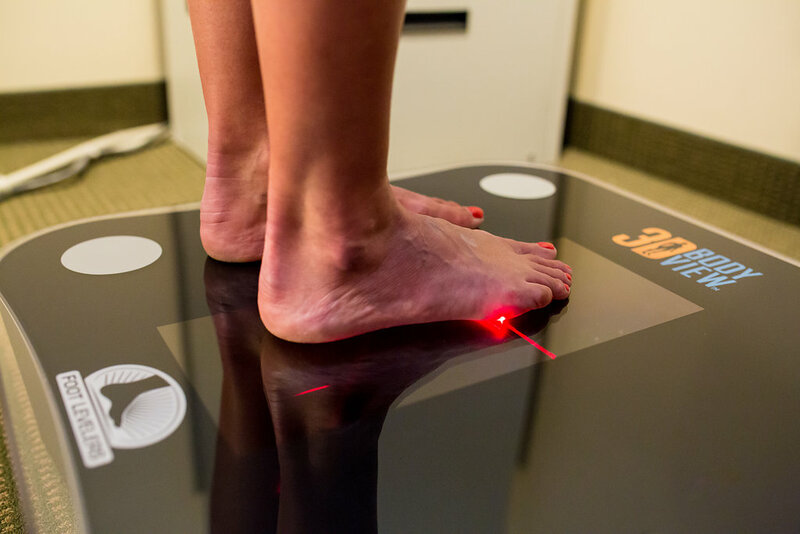 Did you know that we have a Foot Levelers digital foot scanner that highlights imbalances and asymmetries at the clinic? Foot Levelers custom orthotics are individually designed to help achieve a stabilized pelvis and balanced foundation. They are custom made and handcrafted from the highest quality materials with patented processes to ensure the best outcomes for both you and your feet! Commonly we understand that orthotics can provide arch support and realign the structures of the foot and leg to prevent muscle and tendon fatigue. Orthotics may also be used to correct structural deformities present from birth. If you have questions about the benefits of orthotics and if they are appropriate for you, talk to Dr Jassal at your next adjustment!